Can we all agree that we’re just in a better mood now that the temps are rising and daylight savings gave us one more hour of sunlight? Yass!! 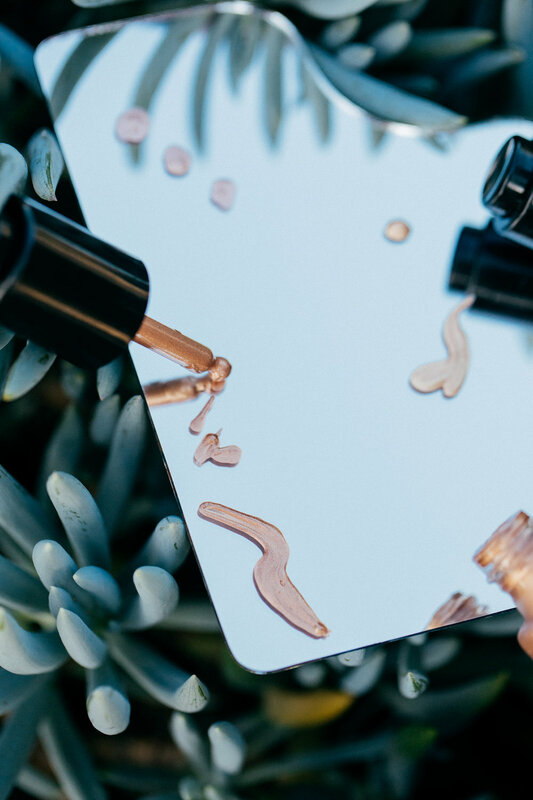 During our recent anniversary trip in Mexico I tried a few new makeup products including Mary Kay’s limited-edition Illuminating Drops and limited-edition Lip Tints. You know I love me a good highlight! Even when I don’t wear makeup on vacay I ALWAYS do my brows and throw on a highlighter, cuz a girl’s got to look somewhat put together. Their limited-edition illuminating drops come in three shades. One is for cooler skin tones (Silver Sand) - it has a silver sheen to it, hence the name. I’m obsessed with the shade Golden Horizon. It’s warm and golden, perfect for my tan skin. The third color, Bronze Light packs a serious punch. I’ve actually never used a liquid highlighter before and am loving the formula; a little goes a long way and it’s very buildable. Another reason I love it is that the bottle is V travel friendly. The highlighter I’ve been using for the past year comes in a monster palette that’s just really not efficient for packing especially when you’re trying to live the carry on life. You know what I’m saying? Where do I highlight? Cheek bones and bow of my lip. Sometimes I’ll do my nose but that’s when I’m getting fancy!